Today is a day that will go down in history 🇺🇸. 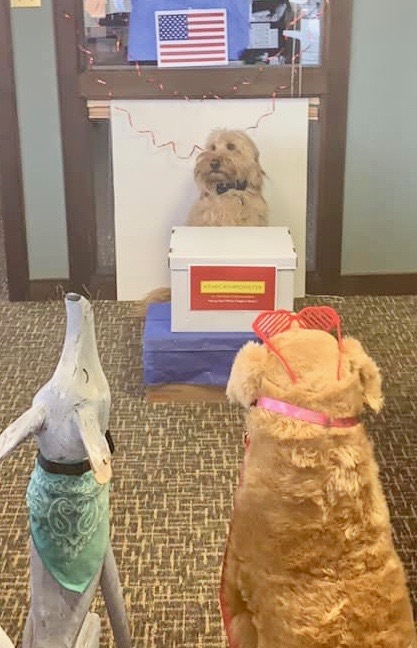 At a news conference Cash Monster Avery announced his 2020 bid for the northern NM congressional seat. He says he has been inspired to seek office after feeling our community is trapped on a leash and needs to run free. Vote for Cash—a doggone good candidate! Cash Monster Avery? Where do they get these names? No word yet on how much cash "Cash" has raised but he probably won't need much. This charismatic character could win this thing running. . .er. . .barking away. Governor Lujan Grisham. Remember her? While La Politica has been rightfully obsessed with the retirement of Senator Udall and the political dominoes falling because of it, MLG has been popping up signing a mountain of legislation sent to her desk by state legislators in the recent 60 day session.she signed into law Wednesday. 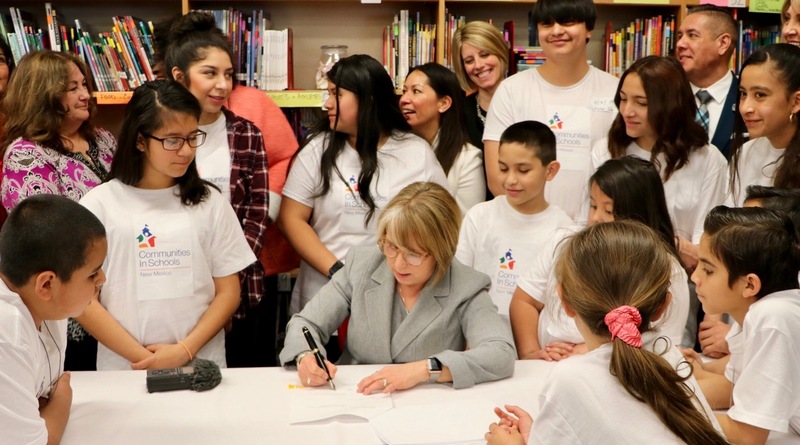 They call for funneling additional funds to school districts with large numbers of "at risk" students (mostly Native Americans and Hispanics) raising teacher salaries and expanding the K5 plus program that lengthens the school year for low income students. And that's on top of a 16 percent year-over-year increase in the public schools budget after eight years of austerity. 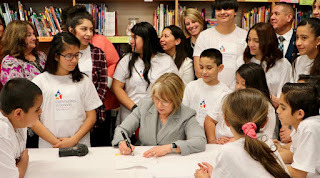 Much of the credit for this goes to Santa Fe District Judge Sarah Singleton who in a historic ruling last summer said the state was violating its Constitution by not providing for the educational needs of the many at risk students. The legislature and Governor responded to the challenge. This is a first step; this is not our last step. Okay, enough policy wonking. Let's get back to the fun stuff on the campaign trail. I’d say it’s at least two or three times $400K. As I recall, in the '18 ABQ Dem congressional primary Deb Haaland, Antoinette Sedillo Lopez and Damon Martinez all spent in the neighborhood of $1 million (not including outside PAC money!). After getting the passionate email we updated the estimate for the north to $750,000 to $1 million. The consultant who estimated $400,000 clarified his position. He believes the first candidate to reach the $400,000 mark in money raised could stand a good chance of clearing away most of the field who know they can't do the same. 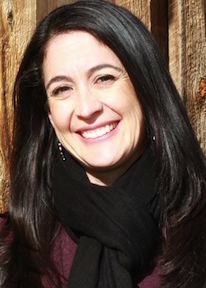 Speaking of the northern US House race, would outgoing US Rep. and now US Senate candidate Ben Ray Lujan like to see Santa Fe City Councilor and lifelong pal Renee Villarreal, 43, take over his seat? Just asking. 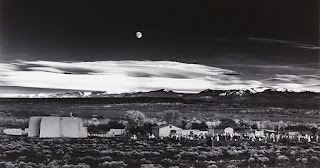 I have been asked by friends, colleagues and family to consider running, given my experience on the Council, my previous work in Northern NM and also family ties in Sandoval County. I’m considering the different ways I can serve the communities I grew up in and care about so much. Are you kidding me? Of course I would love to run and take Ben Ray's seat and I have every intention of doing so. But first I have to line him up to push some money my way and make sure we don't get noticed doing it. 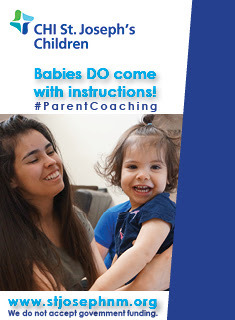 Hey, that's what we thought she said. Anyway, Ben Ray and Renee? Well, even if it's not a conspiracy, it does rhyme. Valencia County State Rep. Kelly Fajardo. That is an interesting name. If the goal of the Republican Party is to begin their comeback running good candidates who can begin to redefine their party as something other than for rich old white men and the oil industry, she would be a good start. The NM GOP comeback has to start somewhere. None of those other R names floated are even remotely viable for this race. Well, Fajardo, like many others, has Roundhouse fever and is unlikely to give up her House seat to make the run. The chance of any R beating the Dem nominee is not good, so sitting in the minority in the state House for the next decade may be a better alternative than being out of the game completely. At least the lobbyists will still fawn over you. Sen. Udall is both a friend and a mentor, and his absence in the Senate will leave an enormous void for New Mexico to fill. I will not be running to replace Senator Udall. There is so much work to do for New Mexico's 2nd Congressional District, and I am honored and grateful everyday to get to do that work. I am encouraged that we have strong, hardworking, diverse New Mexicans able to take the baton, and we will find the right person to tackle the challenges we face and seize opportunities for all of New Mexico. That shout you just heard was from Republican Yvette Herrell's campaign office: "Get me plan B!" Consultants, Alligators, Wall-Leaners and Hangers-on all agree that women continue to generate most of the energy in the Democratic Party and that it could have an impact on who will be selected to the northern Congressional seat being vacated by Rep. Ben Ray Lujan who is leaving it to run for the US Senate. They also say they are getting an early vibe that the DC Dems are pushing for a woman, a Latina in particular, to take the seat and become the first woman to ever represent the district since it came into being in 1982. The most prominent Democratic Hispanic woman weighing a bid is Public Regulation Commissioner Valerie Espinoza. She has plenty of street cred, having secured elections to both the PRC and as Santa Fe county clerk. 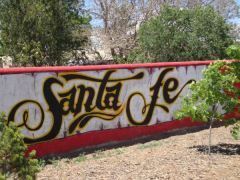 However, some progressives are wary of her and look to a political newcomer like Renee Villarreal, a Santa Fe city councilor, to be their contender. A state representative who is a close friend of Sandoval County Treasurer Laura Montoya says she is also seriously eyeing the contest. Espinoza has also confirmed her interest in the race. Montoya has also, says a close friend. Villarreal has not confirmed. Among the non-Hispanic women candidates, former CIA operative Valerie Plame, who has said she is considering a Senate run, is also now weighing a bid for the northern House seat. The Great Mentioner has not mentioned any other prominent Hispanic women as possibles yet. But with the national Dems having considerable sway over fund-raising for a congressional seat, others could be encouraged. Whatever the gender or race, the field for the open seat will be jam packed and if history is any guide the lucky winner could be poised for even bigger things. Let's take a look. In the first race for the newly formed district in 1982 Bill Richardson won the Dem nomination and went on to win the seat. He held it until President Clinton named him UN Ambassador. In 2002 he would be elected Governor, with his first taste of political success having come in the northern seat. In that 1982 primary Tom Udall came in fourth in a field of four but his luck would turn in 1998 when after serving as attorney general he took the prize. In 2008 he parlayed the House seat into one in the US Senate. Again, the northern district was a political launching pad. Ben Ray Lujan replaced Udall in the seat in 2008 and now 12 years later appears to have a pretty good shot at becoming the state's newest US Senator next year. With that record of success no wonder the possible northern field is getting as crowded as the one at the burning of Zozobra. Several Dem consultants put the price tag of a run for the northern congressional nomination at about $750,000 to $1 million. Of course, that does not include the ubiquitous outside PAC money that will come in for the leading hopefuls. Nothing like getting some grief on your first day in a race. . .
State Rep. Joe Sanchez may be the first into the race for Ben Ray Lujan's congressional seat, but he will likely be the first to leave. Sanchez was one of the six Democrats in the State House who voted to keep New Mexico's anti-abortion laws on the books, just in time for the US Supreme Court to gut or overturn Roe v. Wade. Sanchez voting against the abortion bill is a deal breaker for most modern-minded Democrats. I am very excited to support him as well as my Baca family. He is more qualified than any of the others thinking about running. He comes with extreme knowledge and ethics. That's something lacking in DC. It will be interesting to see how it plays out. Sanchez does not have to make a final decision on giving up his state House seat until next year. We suspect there will be a lot of comings and goings in the big field that is forming. NM House Speaker Brian Egolf has ruled out a run for the northern congressional seat so all the would-be Speakers can return to their chairs. . .The Progressive Change Campaign Committee endorsed Deb Haaland in last year's general election not the primary as we had it in our first blog draft Tuesday. . .
What shoe will drop next in the Democratic race for US Senate? How about that of US House Speaker Nancy Pelosi, the benefactor of freshly minted Senate hopeful and US Rep. Ben Ray Lujan. Democrats anxious to avoid a high-profile, internecine battle for the 2020 Dem nomination were talking out loud hours after Lujan made his candidacy official Monday morning. How, they wondered, could such a battle be avoided? That's where talk of Pelosi, the most prominent woman in American politics came in. (Sorry, AOC, it's not you yet). 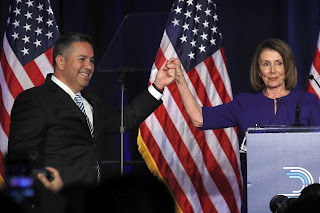 Pelosi is largely responsible for Lujan's rise to #4 in the House leadership and for his past leadership of the Democratic Congressional Campaign Committee. Could she, while Lujan remains unopposed for the nomination, offer an endorsement? 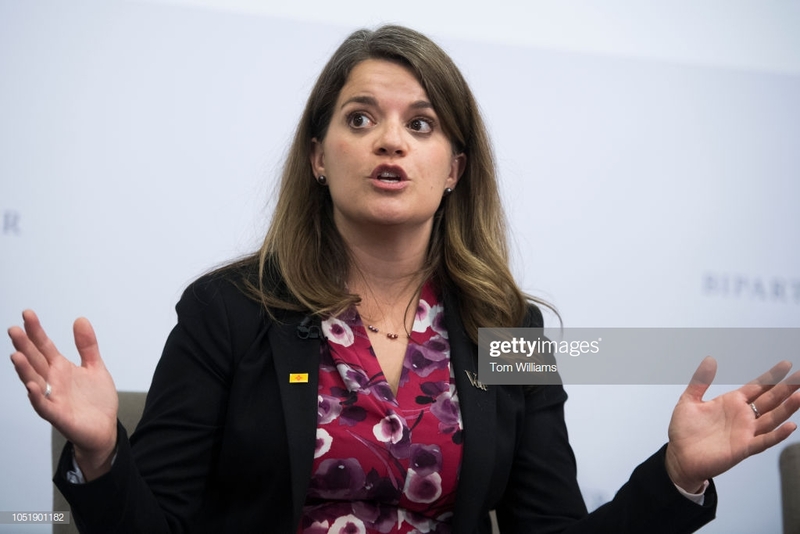 What better way to send an unmistakable signal to Emily's List and other national organizations that they don't need to get on any anti-Lujan bandwagon, like the one that could be rolled out by Secretary of State Maggie Toulouse Oliver. MTO still has to drop her shoe. She says a decision on the race will be made this month. After making some initial noises about running ABQ Dem Congresswoman Deb Haaland has been quiet on the contest. She is not expected to give up her House seat to make the run. But she does highlight a weakness Lujan has--support among the most progressive members of his party. 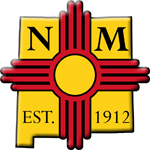 A poll conducted among its NM members last week by the Progressive Change Campaign Committee--which supported Haaland in last year's November election--showed Lujan garnering 39 percent; Haaland at 32; MTO at 15 and 14 percent with no preference. So there's some wiggle room there to challenge Lujan from the left, one that someone like Santa Fe's Valerie Plame could end up filling. While Lujan has been making progress clearing any big name challengers from the Democratic field there could still be general election challenges from the Libertarians and/or Greens as well as the Republicans. But it's the Dem 2020 primary next year that is the prize. In Blue NM it is nearly tantamount to being elected. Barring any surprises, the Senate race, will now go dark until MTO announces her decision or the middle of the month when Lujan releases his first quarter campaign fund-raising report. He's in the race and here are the takeaways. --The roll out appeared to go as planned with no mistakes and favorable and uncritical news coverage. He made no news except the news he intended--that he was a candidate for the US Senate. --The 60 second video the campaign unveiled Monday morning on Twitter to make the candidacy official was generic and got the job done, but. . .
--Republicans looked for faults. GOP consultant Bob Cornelius said Lujan appeared "rushed" in the video and that he had put "too much sugar on his fruit loops" but he did not think it would have any negative impact. 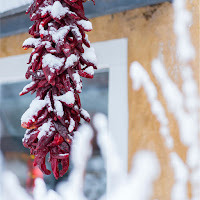 --His video showcased his native New Mexican roots. The video was shot at his family home in Nambe in the North. Those roots will be a key factor if he eventually takes the Senate seat. --The elephant in the room in Campaign '20 is Donald Trump but Lujan steered clear of that large obstacle and instead settled on US Senate Majority Leader Mitch McConnell as his whipping boy, faulting him for being an obstructionist when it comes to health care and other issues. --The hard left of the NM Democratic Party will be disappointed that Lujan doesn't yet plan to attack Trump in the primary, but so far they don't have a candidate to do the job. Lujan doesn't need Trump blasting him on Twitter or his forces here starting to make noise. Attacking the unknown McConnell fit fine with that strategy. For now. --In a sign of the times, hours after Lujan announced his bid a PAC called "When Democrats Turn Out" had been formed to support him and was already soliciting campaign donations. As expected, as soon as Lujan's 60 second announcement video ended Dem candidates were lining up for his northern US House seat. Freshman State Rep. Joseph Sanchez of Alcalde was first to declare. Mark McDonald of Raton, 27, a manager for Air Ambulance, also announced. And a close friend of Santa Fe County District Attorney Marco Serna says he is "definitely" running. PRC Commissioner Valerie Espinosa says she’s leaning toward a run and Sandoval County Treasurer Laura Montoya is considering a run. Libertarian Michael Lucero, who ran last year for state land commissioner, says he has made a "preliminary decision" to run for the congressional seat. That's already six. What's the betting line for the over/under? A dozen? Speaking of six, we called Rep. Luján a five term congressman. Well, he’s now up to his sixth term. How time flies. Lujan Announces Bid For Senate In Short Video; He Could Also Throw A Money Bomb, Plus: Maggie's Move; State Awaits SOS Decision As She Contends With Pressure, And: NM Ranked "Likely" Dem In Race So What Does That Mean? Rep. Lujan announced his Senate bid this morning. An early Spring snow clung to the red chile ristras hanging on the porches in Santa Fe this weekend as political observers of all stripes clung to their chairs awaiting the latest chapter to unfold in the high-profile, high-stakes race for an open US Senate seat. 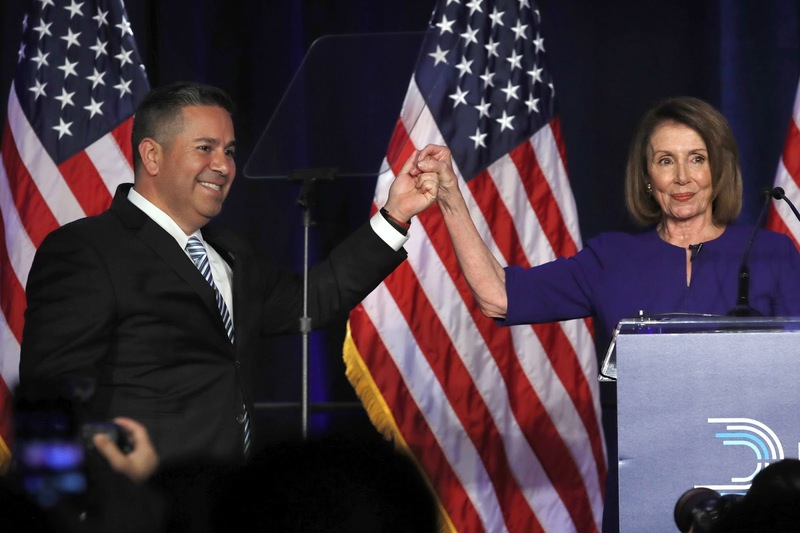 The North is where Rep. Ben Ray Lujan (BRL) was raised and where he flew to from Washington to plot a campaign and where today he is expected to officially throw his hat into the ring for the 2020 Democratic US Senate nomination. 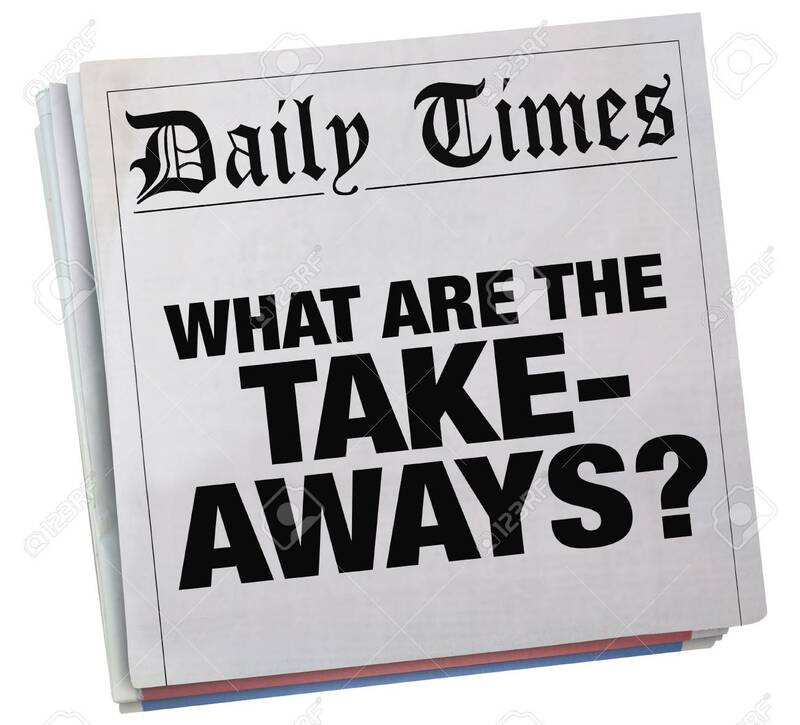 One place he will do some hat throwing is at Santa Fe radio stations KVSF-AM 1260 and 103.7 FM KTRC at 1:30 p.m with talk host Richard Eeds (live stream here). It was just Thursday that Attorney General Hector Balderas, Lujan's main rival for the Hispanic vote, took to ABQ radio to bow out of the contest. That changed the complexion of a race that has been barreling ahead in the political precincts of DC and La Politica despite there being no official hopefuls. Insiders confirm that Dan Sena, the NM native political consultant who helped Lujan engineer the D takeover of the US House last year at the Democratic Congressional Campaign Committee (DCCC), will be his lead consultant. 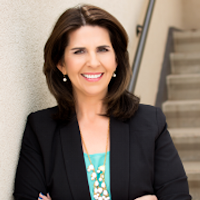 Sena recently opened the firm Sena Kozar Strategies with firm co-founder and veteran consultant Scott Kozar who helped NM US Rep. Xochitl Torres Small score her first win last year. A Lujan insider says the search for a campaign manager is under way and is expected to come out of DC with the stamp of approval of the Senate Dem leadership. Lujan's past service as chair of the DCCC could be setting him up for a big financial reward in his campaign kitty. 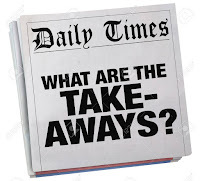 The first quarter reports that ended yesterday will be posted at the middle of this month and the DC rumor mill has it that Lujan could blow the doors off with that money report. At year end he had $379,000 in cash in his coffers but the DC Alligators are talking at least a seven figure haul in just the last three months. We shall see but there is little doubt that Lujan's perceived fund-raising prowess is helping him clear the field of potential foes. Wow. All sorts of Anglo Saxon males who I'm not married to or related to think it's their place to tell me what they think I should do with my life and career. Interesting. That eyebrow raiser could return to visit the campaign if MTO takes the dive, but she is positioning herself as the woman candidate in hopes of vaulting to the top. National money will need to agree she has a shot because she will be starting essentially with zero. As for the Lujan camp, they are officially quiet on Maggie's musings on getting certain male advice but his backers say that a BRL vs. MTO primary would help BRL run a "lean and mean" campaign and prep him for next November's general election. They don't appear worried. MTO backers argue while Lujan would the the first Hispanic US Senator in 45 years, there has never been a woman Senator. They also see Lujan as untested in a statewide campaign and say that gives MTO an advantage, although she did lose a head-to-head contest for SOS against R Dianna Duran in 2014 before winning in '16 and '18. She also won two elections for Bernalillo County Clerk, the most populous county in the state where she is well-known and well-liked. As for being "untested" the Lujan fans chuckle, saying the six term congressman just campaigned nationwide to maneuver the US House into the Democratic corner. Jibed one: "How many tests does he need to pass?" The deadly development in a New Mexican Democratic primary for most of the state's history is one Hispanic candidate consolidating the vote. And that's what Lujan is on his way to doing with Balderas gone and no other big name, well-financed Hispanic on the horizon. The Dem Alligators boosting Lujan say that even if he is not as well-known in the ABQ and southern congressional districts as his own in the North, his last name alone--a powerful one in state politics--will attract attention in those districts and a default vote for him. That would leave MTO with the option of running a negative campaign against him and inviting one in return from Lujan. A number of national pundits have changed their rating on the NM Senate race from "Safe Democratic" to "Likely Democratic." That makes sense because the seat has no incumbent with Sen. Udall retiring. The unexpected could happen and suddenly you have a semi-competitive challenge from the Republican nominee. But the ranking of "Likely Democrat" still means a very uphill battle for the eventual GOP contender. First, the race is unlikely to be targeted by the national GOP or the national PACS who can send in the necessary millions that would give the R nominee a reasonable shot. Second, when it comes to statewide federal contests New Mexico is no longer purple, violet, turquoise or whatever color you may want to use to describe a "swing" state. We no longer swing at all on statewide federal races. Not at all. The R's last won the presidential election here in 2004. That's three losses in a row and a fourth appears in store as Trump is unlikely to compete here. The state's two US Senators have been Democrats since the 2008 election and the last Republican to win a Senate seat was Pete Domenici who was re-elected in 2002. For the first time in decades the state's entire five member congressional delegation is Democratic, including the conservative US House southern district which can still be classified as a "swing district" because it has in fact swung between the two parties the last decade. How long it holds that status is in doubt as the Democrats appear to be tightening their grip there, thanks to the growing influence of Democratic Dona Ana County. Statewide the Blue hold is also gathering steam, with all statewide executive offices held by Democrats, a Democratic Governor elected with 57 percent of the vote and a state House that arguably in the years ahead is headed toward having a super majority of Democrats. Besides the southern congressional district the only red patches on the state's blue map are state Senate districts that reliably elect Republicans or conservative Democrats. And in 2020 some of those districts could be covered blue, especially in big BernCo where Democratic strength startled observers in 2018. Taken collectively all of this signals--as it did in the 2018 US Senate race--that the winner of the June 2020 Democratic primary--is, as the national pundits predict, "likely" to be our state's next Senator. Dear Joe, Recent events must feel like political manna falling from the sky. Who would or could have imagined? Seems like you and your trusty Alligators have plenty of work cut out for this next election cycle. Thank you for your world class reporting, Joe! The last week or so has been one of the busiest of our career. Our father loved the ponies so maybe we picked up the love of a great horse race from him. 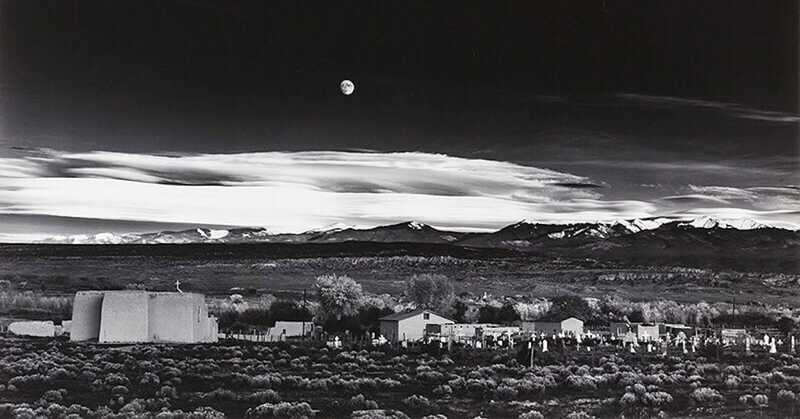 Thanks for checking in, Darel, and we know you'll always enjoy that "Moonrise" over Hernandez.